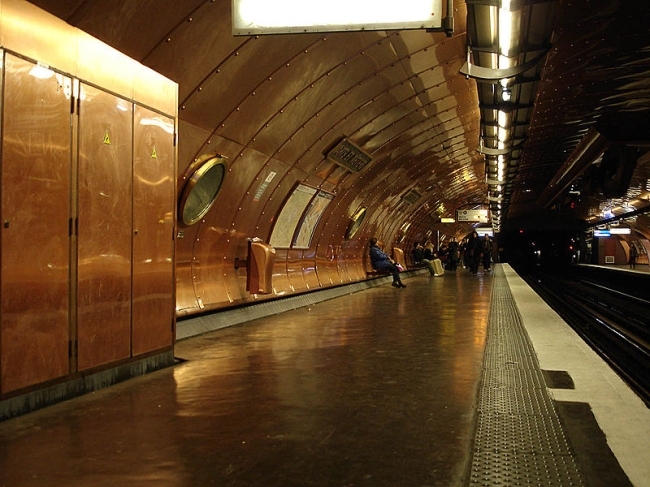 Paris’ metro system is more than practical…it’s beautiful! If you’ve visited this site before, you know that here on the Sight Seeker’s Delight blog we love the Parisian subway system. It’s easy, convenient, inexpensive…if you’re looking for one of the best ways to get around the city, you’ve found it in the métro! Most of the stations around Paris look fairly similar, but there are also some really special stations thrown in there to keep us all guessing. 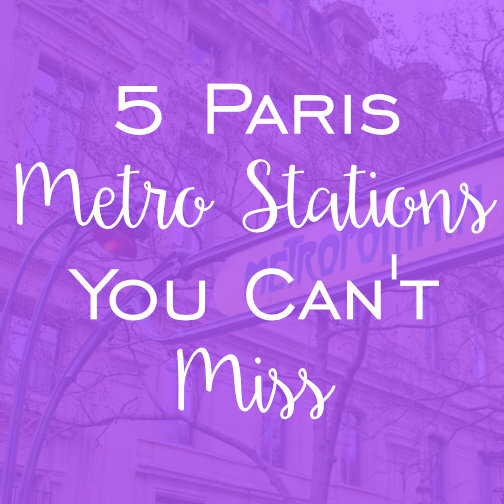 There are definitely more than 5 stations that I love, but to avoid having an article that would take you an hour to read, I’ve chosen my top 5 metro stations you can’t miss! The Arts et Metiers station on the lines 3 and 11 is the first on my list because it truly is so unique! The station opened in 1904, and was one of the first stations to connect Pere Lachaise and Villiers on the line 3. The station gets its name from the Musée des Arts et Metiers which is located just outside of the metro exit. If you’re looking for an interesting museum in Paris to check out, Arts et Metiers should be where you head. It’s dedicated to industrial design, and houses the collection of the National Conservatory of Arts and Industry, a collection that strives to preserve scientific inventions and instruments. The station was redesigned in 1994 to celebrate the bicentennial of the collection, and was redesigned by Belgian comic artist François Schuiten. Schuiten got his inspiration from famous French author Jules Verne’s works, which is why you may get the feeling you are in a submarine rather than in a subway station. For those of you who are unfamiliar with Verne’s works, he wrote a little novel that goes by the name of Twenty Thousand Leagues Under the Sea. When the station first opened in 1900, it obviously did not sport the name of President Roosevelt, well, because the future president was only 18 years old at the time! The original name of the station was Marbeuf, thanks to the name of a nearby street. The station’s name change occurred in 1946 due to a name change of an adjacent street, and has been that way ever since! Roosevelt was an ally to France during the Second World War, and the street was named after him as a way to say thank you. What else makes this station so special, you may be asking yourselves? When the station was renovated in 2011, a new technique called “glass bricks” was used to line the walls and ceiling. The effect is pretty unique, and the station also features hanging lamps that casts a very moody effect throughout the platform. Another fun fact about FDR station? It is the 14th busiest metro station in Paris, serving an average of 12.19 million passengers per year! Cluny – La Sorbonne services line 10 on the Paris metro. The station was opened in 1930, and is named after the Hôtel de Cluny, where the National Museum of the Middle Ages is located, and La Sorbonne, the infamous Parisian university. 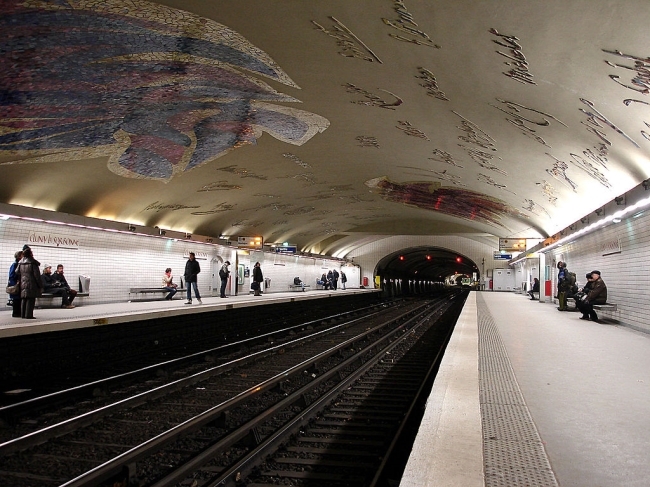 The station features mosaics that line the walls and ceiling, and the most notable one is called Les Oiseaux, or The Birds, by artist Jean Bazaine. Names like Rabelais and Molière appear on the ceiling as well, as a tribute to famous French citizens that were involved in literature, the arts, and education. While this next station isn’t that much to look at, I wanted to include it. Europe (Simone Veil) services the line 3. The station was opened in 1904 and was originally named for the Place de l’Europe, a place in Paris which features different streets named after various European countries jutting off of it. 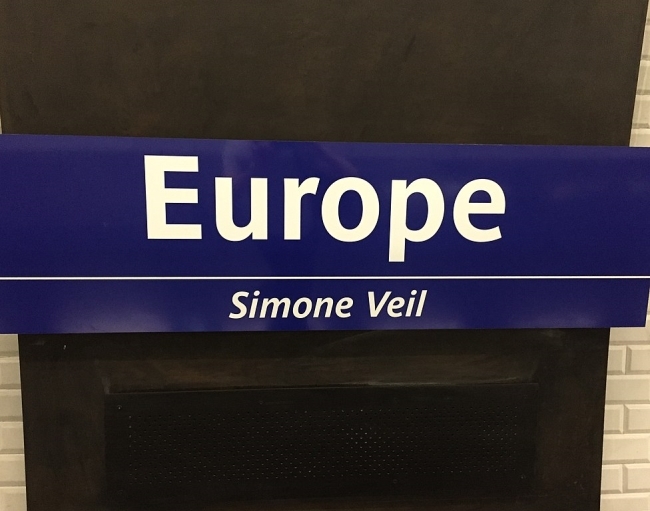 In 2018, the city of Paris announced that the station would also bear the name Simone Veil. Veil was an extremely important feminist figure of the 20th century, who died in 2017 and joins the ranks of the few women who are buried at the Pantheon. We’re all about feminists here at Sight Seeker’s, which is why I’m including this station on the list! I was thrilled to find out that a metro station in Paris would bear Veil’s name, as there aren’t many (just 4 out of 302!) in the city that pay tribute to a woman. Let’s hear it for the ladies! 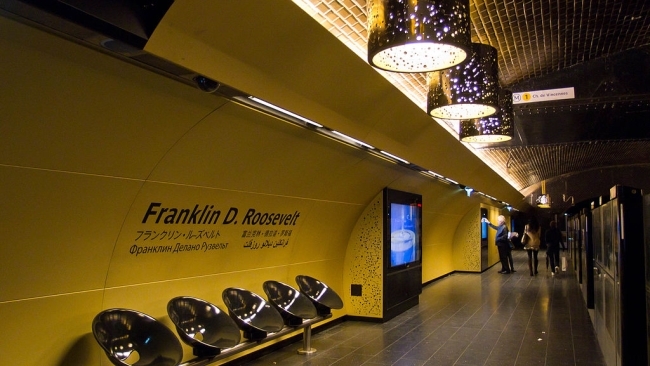 The entrance of the Palais Royale metro station is what makes it so special, and you’ll really want to check it out! The station services the line 1 and line 7, and is a great station to use to get to the Louvre Museum. The entrance is located on the Place Colette, and when you exit you’ll see the mythic theatre Comédie Française just to the left. The station was one of the first to open on the line 1 in 1900. The entrance was remodeled in 2000 by artist Jean-Michel Othoniel in honor of the metro’s 100th birthday! 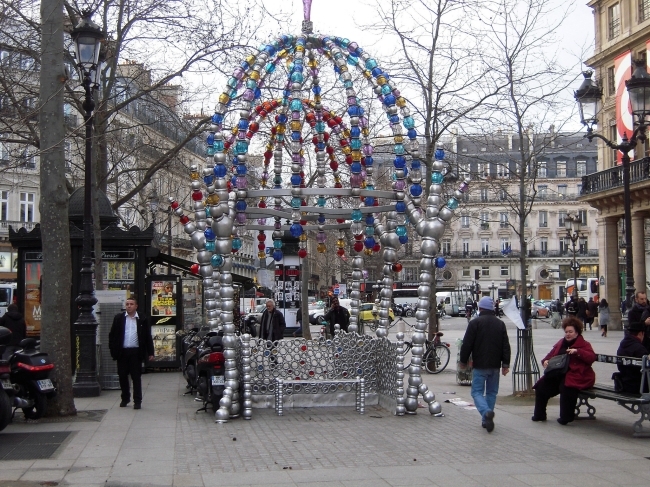 The sculpture surrounding the entrance is called “Kiosque des noctambules“, or Kiosk of the night-walkers, and is made of glass beads and aluminum. I hope you’ve enjoyed learning a little bit more about the Paris metro system and some of it’s more unique stations! Do you use the metro when you’re in Paris? As always, let me know your thoughts in the comments below! What’s your favorite station? Did I miss one that you think is super important? We love hearing from you! This entry was posted in Paris Activities and tagged metro, metro stations, Paris, special, transportation, unique. Bookmark the permalink.